The advantage of handicap scores in golf is that they provide a universally understood measure of what’s good and what’s not. Not being a golfer myself, even I know that my husband’s 10 handicap is good, but he isn’t going to make the tour anytime soon. Having this measure allows my husband to identify areas for improvement and even new tools and techniques to make those improvements. All companies use measures of success, commonly referred to as Key Performance Indicator (KPI’s) like profit margin or share growth or Net Promoter Score. What they have in common is that they are meaningful measures that help the company track their success and identify areas for improvement. KPI’s can also define a team’s success, as the team decides what success looks like and how it will be measured. To develop your own KPI’s, we recommend basing them on your team’s mission statement and consider ‘how would we know we’ve achieved success?’ against each statement. Here’s a few sample measures against corresponding mission statements. Lots of different ways to look at measures, so there’s flexibility to consider what would work for your organization. Deliver insights that help the company grow. 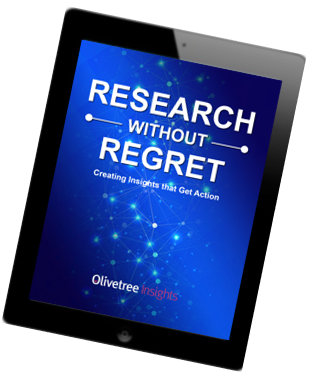 Financial ROI metrics tied to the accumulated impact of insights. Attitudinal metrics based on stated impact on decisions and resulting sales. Embed customer voice into heart of business. 100% of annual business plans include voice of customer. Business stakeholders quote consumers in at least 75% of all planning meetings. Deliver insights that drive more confident business decisions. At least 80% of business partners agree that research improved their confidence in making business decisions. Deliver proactive consulting to help the company innovate. The Insights team identifies at least one consumer problem per year worthy of further investigation. The Insights team leads a scenario planning session annually to identify innovation opportunities. If you compare what’s shown in these samples above to the samples provided in the online researcher forum, you’ll notice the lack of project management related KPI’s. Certainly, its important to deliver projects on time and in budget and there must be measures in place to ensure this happens. But using these measures as KPI’s for achieving your team’s mission can only “lead to diminishing returns, which leads to cuts in both budget and headcount, which leads to diminishing impact on the business, therefore creating a negative cycle which is hard to break,” as stated by Andrew Cannon of GRBN. Aligned: Not only aligned with the team’s mission statement but also with the organization’s measurement processes. Attainable: Is the KPI measurable? How realistic is it to capture this measure reliably and consistently? Relevance: Will this KPI motivate and energize your team to focus on the right work? Will stakeholders agree that your team is successful if you meet the standards defined in the KPI’s? 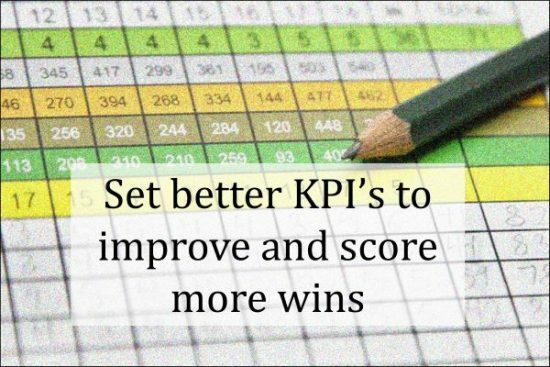 Just like my husband’s success measures aren’t right for all golfers, the right KPI’s for your team won’t necessarily look like the KPI’s for other teams. But once you have the right KPI’s and measurement in place, you can ensure that you will have the performance data you need to evaluate success and define meaningful improvement areas. The old adage “what gets measured gets done” is the first payoff for strengthening your team’s KPI’s. Once you start tracking KPI’s you’ll be able to more quickly identify opportunities to improve. As you improve, you’ll be able to provide these proof points to your business partners, especially funders, showing how research and analytics is moving the business forward. The outcome is having the right level of resources allocated to the function and who doesn’t want that?! In case you missed it, here’s a link to our first blog in this series, Set Big Goals to Build a More Engaged Insights Team. Our next blog will cover Roles, Responsibilities, and Principles: who should be doing what, for whom, and how. If you want help creating your Team Charter, sign up for our Start with the Foundation Workshop or email Carol@Olivetreeinsights.com.